For this week’s Unscripted Sketches challenge, I used some cute summer stamps by Lawn Fawn and more Sassafrass Nerdy Bird mini papers! I used scraps of SU cardstock for the beach ball and the glass of lemonade. Everything was stamped with Stampin’ Up Soft Suede ink. The inflatable toy was stamped on Bazzill Swiss Dot cardstock. 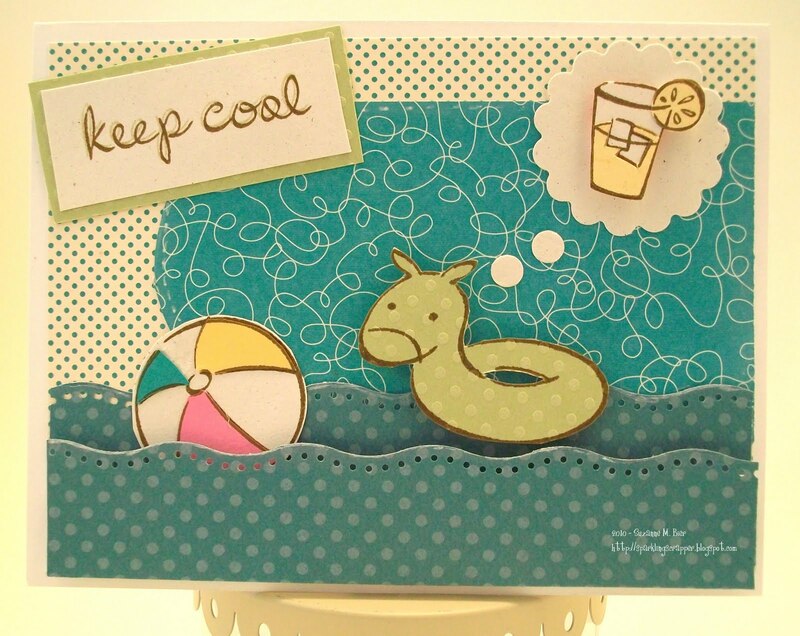 I used Bo Bunny Double Dot and an EK Success border punch to make the waves. All of the stamps are from Lawn Fawn’s “Swimsuit Season” set. Thanks for looking at my card! 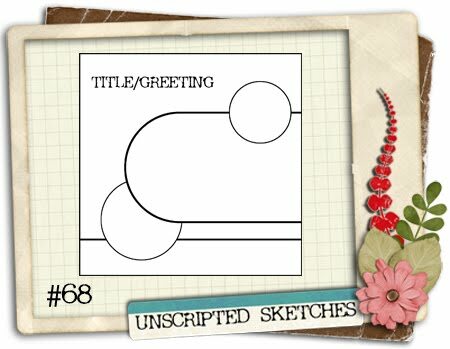 visit Unscripted Sketches to see the design team’s awesome creations and to check out all the other fab entries for this week’s challenge! OK, this card is adorable in every way! LOVE the little images and that great summery theme. LOVE too how well you made it fit the Unscripted sketch, glad you played. Oh this is just too cute! Love it! Thanks for playing at Unscripted Sketches! Oh this is just adorable! I love how you tucked the ball bedind the waves. Thanks for playing along with US again this week. super cute, congrats on your unscripted sketches win. Suzanne – I LOVE this card! The popped up waves were such an awesome touch! Congrats on being a top pick at Unscripted!